The 2nd International Conference on Citizen Observatories for natural hazards and Water Management (COWM) took place in Venice, Palazzo labia, between 27 and 30 of November 2018. 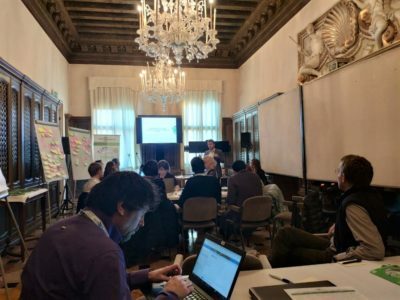 Social scientists, surveyors, engineers, scientists and other professionals from many countries, had the opportunity to present and discuss various topics related to Citizen Observatories (CO) and their impacts. 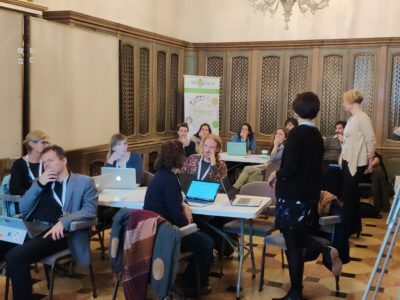 Participating in this great international event, the WeObserve consortium also launched its fourth Community of Practice (CoP) with its focus on the UN Sustainable Development Goals (SDGs), chaired by Dilek Fraisl from IIASA. 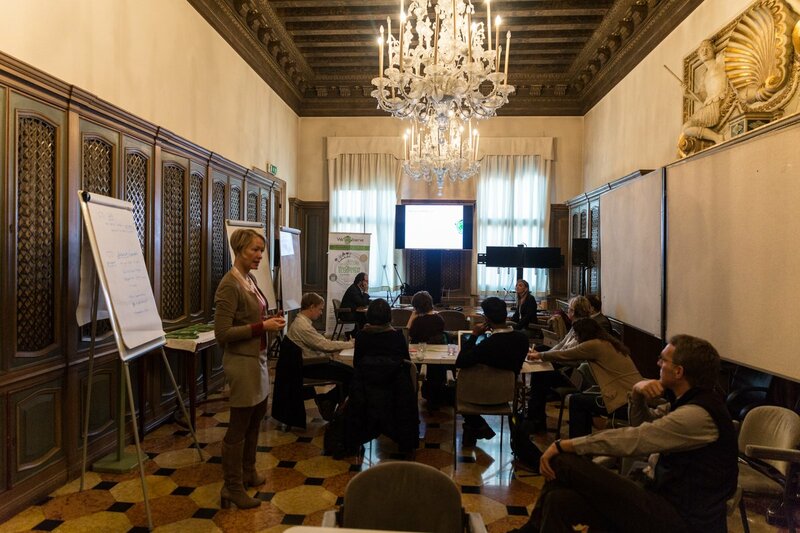 Within this forum, the WeObserve coordinator, Steffen Fritz, spoke about how citizen science can contribute to UN processes, while the participants had the opportunity to discuss the potential benefits and challenges of applying citizen science data in the SDG process. Also, the three existing WeObserve CoPs on Co-design and Engagement, Impact and Interoperability held their second face-to-face forums at the COWM Conference. Day 1 saw Uta Wehn from IHE Delft chair the Co-design & Engage CoP workshop on co-designing Citizen Observatories and engaging stakeholders, where participants were able to assess their experiences and pave the road for the future. 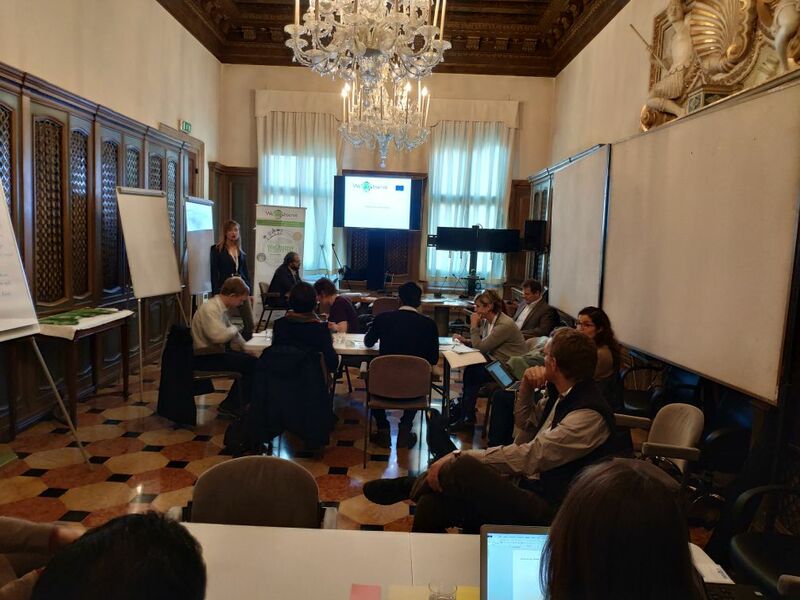 A key focus of the discussion was an inventory of citizen science-related tools, especially those for co-designing citizen observatories and engaging stakeholders. 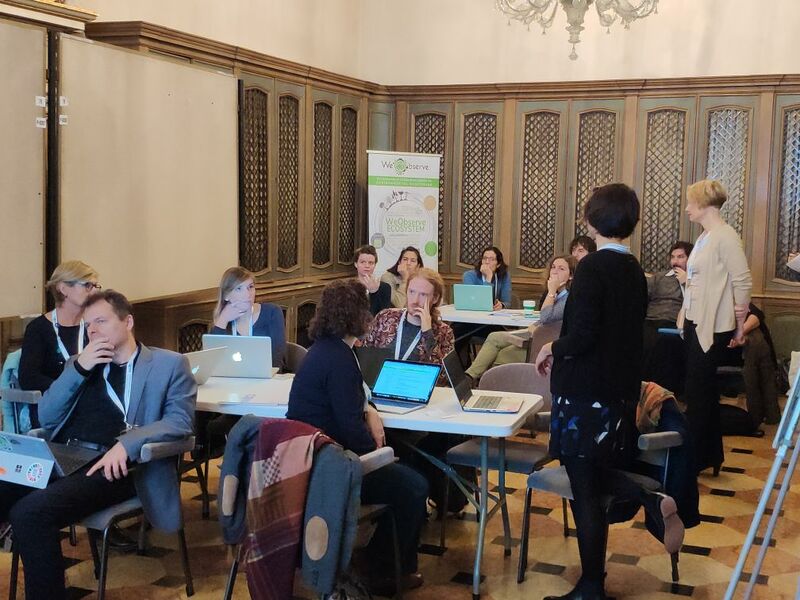 On the second day, the Interoperability CoP met and discussed interoperability issues and standards for Citizen Observatories, chaired by Joan Masó from CREAF (Ecological and Forestry Applications Research Centre). The discussions in the session considered aspects and challenges for standardising data and tools for citizen observations. 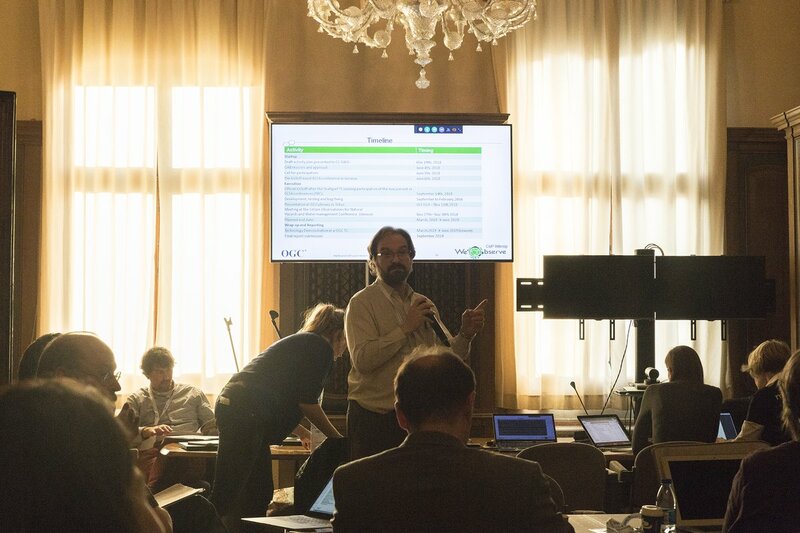 Activities and demos were presented from the four working groups of the Interoperability Experiment (vocabularies, data sharing, data quality and single sign-on). 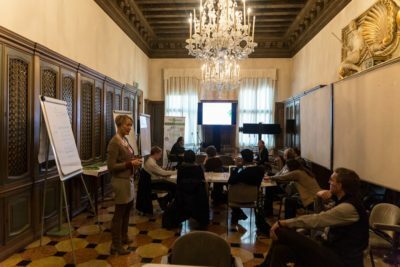 Also, on the second day, an Impact CoP World Cafe session chaired by Uta Wehn explored the impact and value of Citizen Observatories for governance. With one group working on inventorising methods for capturing impacts of Citizen Observatories on governance, and a second one on how to capture impact stories, participants discussed potential socio-economic and environmental impacts of community-based environmental monitoring for public authorities and decision makers. 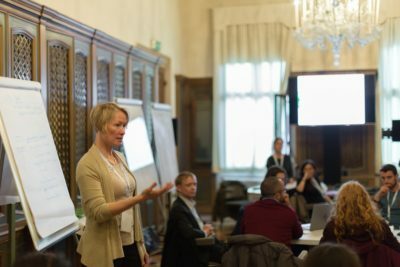 It was a very valuable conference for WeObserve and all partners returned to their countries highly motivated, with their suitcases full of new knowledge, experiences and ideas!